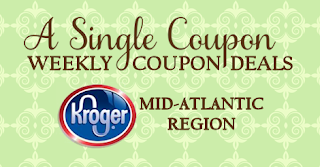 Kroger Weekly Coupon Matchups - 9/16 - 9/22 10/$10 sale PLUS a Private Selection Buy 4 save $4 sale! Looks like we have a nice 10/$10 sale plus a Private selection Buy 4 Save $4 sale this week, and there are some pretty great deals included!! Mix and match participating items in multiples of 4 and save $4 instantly at checkout. The price listed below for the Private selection sale includes the extra dollar off savings assuming you buy in multiples of 4. Happy shopping! Final Price: $.50 <--- stock up deal!! Final Price: $.50 <--- stock up deal! Final Price: $.50 <--- great deal! Final Price: $.45 <--- stock up deal!! Original Cheerios and Lucky Charms shown in ad. Final Price: $1.38 <--- good deal! Final Price: $3.99 <--- pretty good deal! Final Price: as low as $.99¢ <--- stock up price! Final Price: $15.99 <--- pretty good deal!